Meet the touchscreen contenders. Top row, from left to right: Apple iPhone 3GS, T-Mobile myTouch 3G, HTC Hero, Palm Pre, Nokia N97. 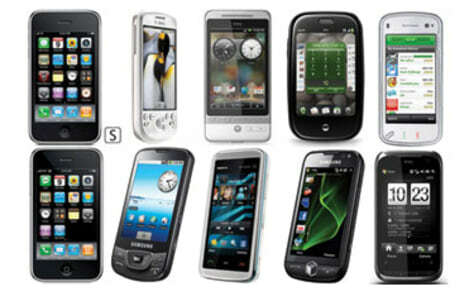 Bottom row, from left to right: Apple iPhone 3G, Samsung Galaxy, Nokia 5530, Samsung Omnia II and HTC Touch Pro2.